Linz and Lee give their take on the old beverage resurrection happening over the past few years! 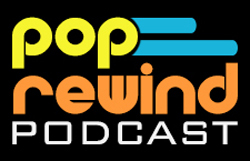 Zima*, Ecto-Cooler, Crystal Pepsi, it’s all covered this time on the Pop Rewind Podcast. Dinosaur Dracula’s Zima review is much more favorable than Lee’s. Clearly Canadian is back, and Linz has the full scoop (and review)! The company that made Clearly Canadian also made Orbitz. Still no word on the return of Orbitz, but Linz made her own Orbitz! Also, The Pop Shoppe is back… in alcohol form. And of course, Dr. Pepper Gum! Do you put candy in your Zima or other coolers/alcohol? Let us know! And vote on Twitter at @PopRewindOnline: #TeamLinz if you don’t put candy in your coolers #TeamLee if you do! Nice. Going to the US late next month, so I am definitely going to get as many Clearly Canadian and Zima as I can get my hands on! It’s not the same as the old Dr. Pepper gum (which was awesome), but you should try the Dr. Pepper and Crush candy. It’s pretty solid. Just saw it at Walmart (in Canada) in the candy section yesterday afternoon. Man I am hoping Orbitz comes back!